June | 2011 | What about this? A while back I posted a recipe for Boston Iced Tea. 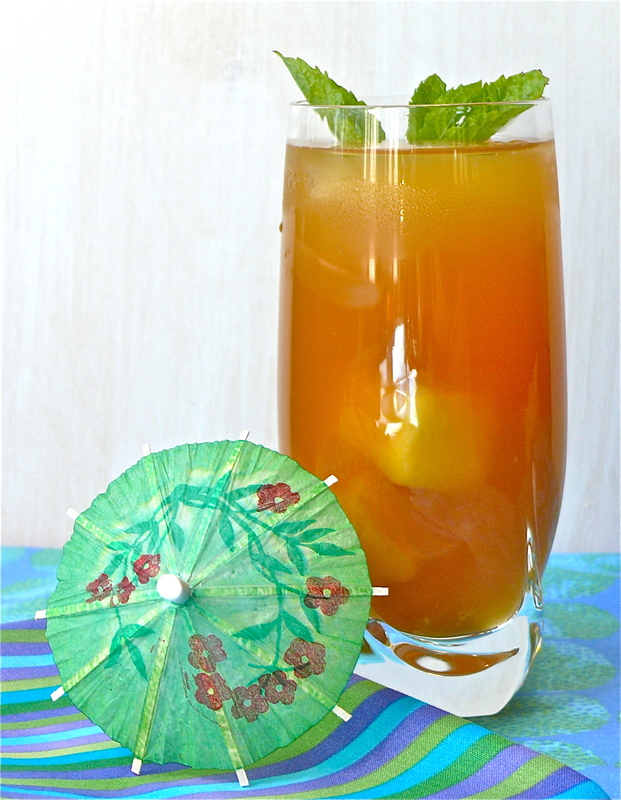 Today’s recipe is another fruit-flavored tea that’s thirst quenching and super easy to make. Make sure you double the recipe, though, because it’s a good one to have on hand during the hot days of summer! Bring water to a boil, turn off heat and add tea bags and steep until tea is dark, about 5 minutes. Remove bags, add mango nectar and add sugar, to taste. Stir until sugar is dissolved. Place in pitcher and add mint leaves. Pour over ice and garnish with mango slices. 1. I use 2 of Lipton’s family-sized ice tea bags. 2. I’ve made this using mango juice and mango nectar. The results are slightly better using the nectar – a tiny bit more sweet and a more pronounced mango flavor. 3. One tablespoon of sugar is all I add to the tea and nectar solution, but I don’t like my iced tea too sweet. 4. Let the flavored tea cool before refrigerating and definitely serve it chilled. 5. Omit the mint only if you absolutely hate mint! The mint leaves lend a wonderful, cooling, fresh taste to the tea. 6. Instead of garnishing with thin slices of mango, I added frozen mango chunks that I’d purchased in a large bag at Costco. 7. The fruit flavors in this recipe and the Boston Iced Tea recipe can be easily adapted – just substitute different flavors of nectar for this recipe or frozen concentrate for the Boston Iced Tea recipe. Out came the pool floats! On went the ceiling fans! Out came the iced tea! On went the garden sprinklers! 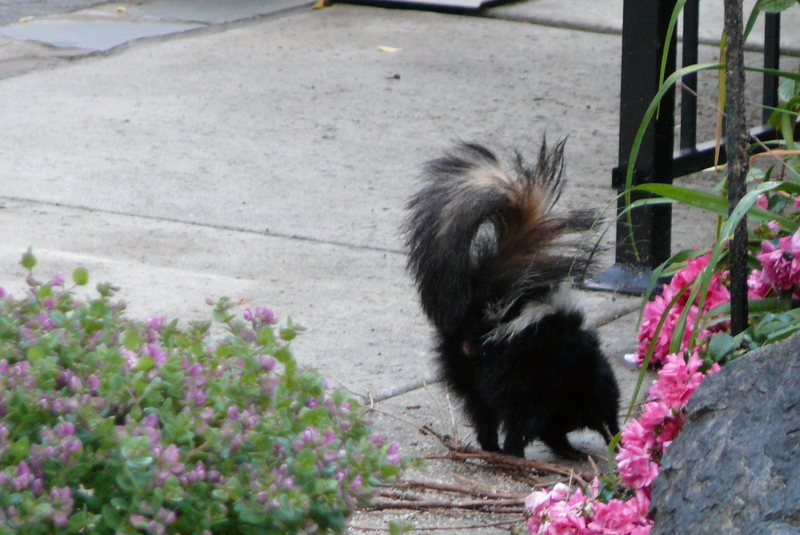 The summer solstice roared this week with a triple digit heat wave. Summer is finally here, but I would have preferred a little 85 to 90 degree warm-up first! Sometimes people come into your life and you know right away that they were meant to be there, to serve some sort of purpose, teach you a lesson, or to help you figure out who you are or who you want to become. You never know who these people may be (possibly your roommate, neighbour, co-worker, longest friend, lover, or even a complete stranger) but when you lock eyes with them, you know at that very moment that they will affect your life in some profound way. This is the opening paragraph from a piece of writing I found on the internet. This feeling of “I know we were supposed to meet” has happened to me and, perhaps, to some of you, too. Click here to read the entire inspiring piece. I am in a self-imposed M.O.G. (mother-of-the-groom) boot camp now. I have a year to get in shape for the wedding and I’ll need every bit of it, plus any other help I can get! I found this free and easy to download food journal at The Project Girl. Besides the weekly format, I also like that it includes snack and water entries. I made a little packet of the sheets for me and the F.O.G. – let the food journaling begin! 1. Using a permanent marker, all items that are recipe necessities, but used only occasionally, such as jam, condiments, nuts, specialty items, pasta, baking items, ethnic foods, etc. get marked with a “P” (for purchased) and the date when they are put away for storage. 2. When items are removed from storage and are opened, they get marked with an “O” (for opened) and the date they are opened. Following this code makes cleaning my pantry and refrigerator faster and easier, and probably more safe, since there is no second guessing to the freshness of products! Life is not a checklist to be checked off, nor a race to be run. The world needs your unique gifts and perspective, so be you. Always speak the truth, but with good intention and at the appropriate time. Strive to seek balance in your life. Don’t underestimate the power of what one person can do. Know your worth – never undervalue what you bring to the table, whether in personal or business relationships. Appreciate the gift of every single day. Don’t let material goods define who you are. Nothing is more important than your health and your family. Remember, there are always two sides to a coin. Success in life is made up of small, continuing successes – it’s not a big onetime thing and there is no limit to the amount of success in life that you can achieve. Only the attainment of your dreams and your goals determines whether you are successful. Let your actions define your character more than your words. Have respect – for your body, for other people’s property, for other cultures, for the planet . . . .
Live in the present – you can’t change the past and the future isn’t here yet. Write your story – it’s your life, no one else can write it for you. Don’t be afraid to make mistakes – learning from them is sometimes the only way to grow. Ever heard of wabi-sabi? No, it’s not the green horseradish paste on sushi platters. That’s wasabi. Wabi-sabi is a Japanese aesthetic that considers imperfection to be perfect or, to put it another way, it’s the perfection of the imperfect. In a previous post, I wrote how this philosophy helps me deal with my tendency towards perfectionism. 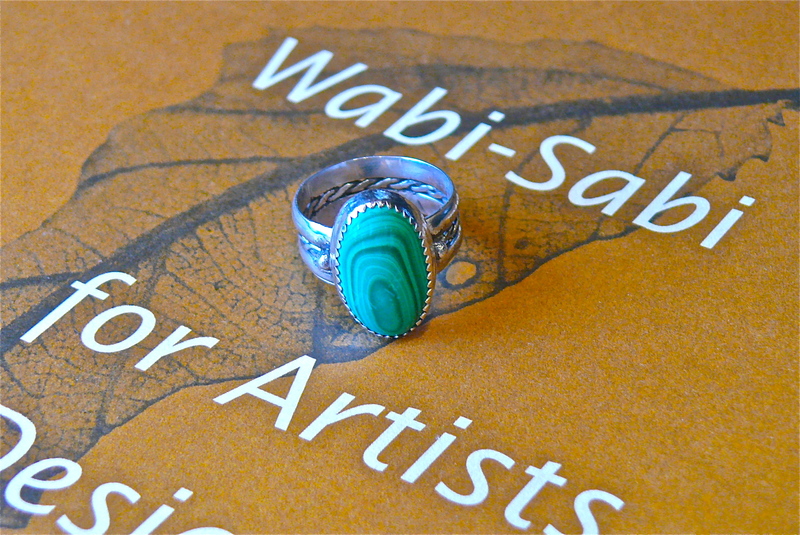 So bolstered with thoughts of wabi-sabi, I participated in a silversmithing workshop last Saturday. After a long day’s worth of small successes and frustrating failures, I completed my first project. Go ahead and look at it closely and you’ll find it’s a perfectly imperfect ring! These twenty-two interesting photos with bits of wisdom printed on them by photographer and graphic designer Julian Bialowas are definitely worth reading through. Does the thought of performing CPR on someone in need intimidate you? Here’s a video that presents a new product that you might want to have. Turn on an FDA-cleared PocketCPR and it will coach you step-by-step through the process. It is suggested on the website that users should also have training in CPR. At $149.00 the device may seem pricey, but what’s the price of someone’s life? If your plans to spruce up your home this summer include painting, you’ll want to check out this Paint Calculator on the Home Goes Strong site. I also learned while visiting the site that “One gallon of paint covers approximately 400 square feet.” File that bit of information in your memory bank! What could be better than a moist, spicy, carrot cake slathered with cream cheese frosting? Not much! But what if all that delicious goodness could be held in your hand in the form of a cookie? A portable carrot cake – how perfect! 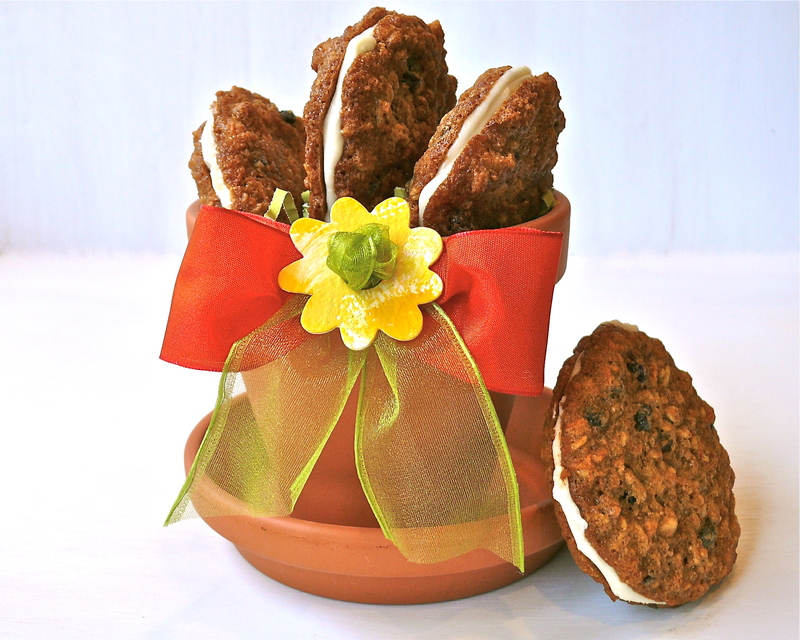 Since carrot cake is my husband’s favorite type of cake and since Father’s Day is this coming weekend, I whipped him up a batch of wholesome carrot cake cookies and sandwiched them together with a rich, not-too-sweet, cream cheese filling. After wrapping them individually in plastic wrap and freezing them, he can now have his “cake” (whenever he wants) and eat it too! 1. To make the cookies more wholesome, I used whole wheat flour instead of all-purpose flour. 2. Because I like the smaller size of currants, I used them instead of raisins. 3. For a bit more texture and some added nutrients, I added 1 cup of chopped walnuts. 4. Although it is easier to buy a bag of grated carrots, the moisture content and fresh flavor of freshly grated carrots add much to this recipe. 5. I used a smaller ice-cream scoop for the dough and made 72 perfectly round 2 1/2-inch to 3-inch cookies. 6. These cookies spread – allow the specified 2 inches. If cookies seem to be spreading too much, chill the dough a little longer. 7. I doubled the cream cheese frosting which was the perfect amount to fill 36 cookie sandwiches. 8. These cookies absolutely have to be refrigerated! Not only because they have a cream cheese filling, but primarily because they will become too soft and will fall apart easily if left out at room temperature. 9. As mentioned in the introduction, I individually wrapped my sandwiched cookies with plastic wrap, placed them in Ziploc-type plastic bags, and froze them for future cravings. Here’s a volunteer opportunity that can be done in the comfort of your own home. 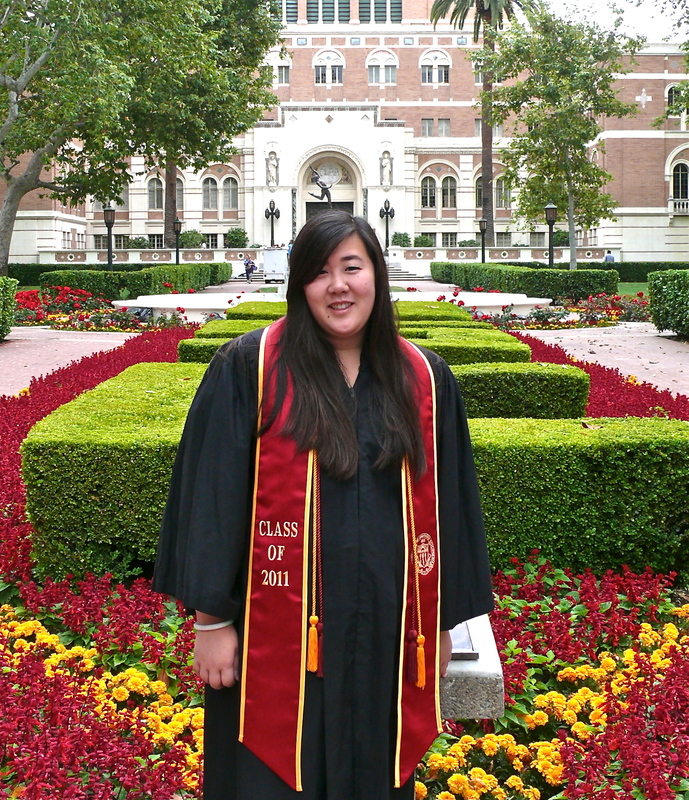 A couple of weeks ago I wrote a post called “Blankets of Love.” Upon their college graduations, I gave handmade blankets to each of my children. I wanted them to remember the warmth of my love wherever they went in life. Project Linus collects and donates “new, handmade, washable blankets to be given as gifts to seriously ill and traumatized children, ages 0-18.” In the last sixteen years Project Linus has donated over three million blankets to children in need. 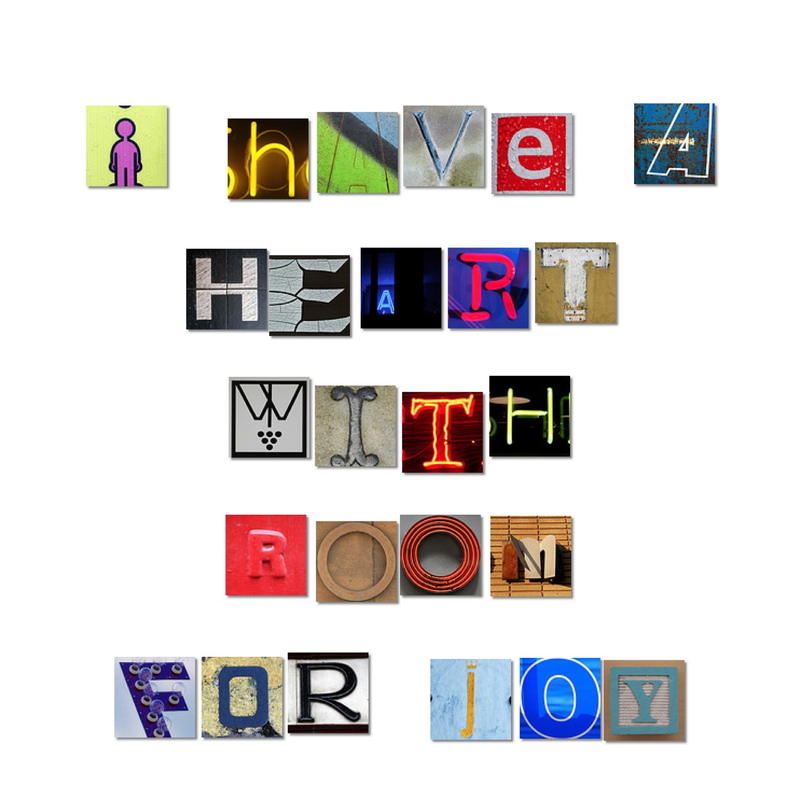 If you like to crochet, knit, sew, or have the time to tie knots in “no sew” fleece blankets, consider donating your time and materials to this cause and give away your own blankets of love. I love finding amazing photographs and sharing them. Here’s a series of aerial photos from around the world that is worthy of your attention! Would you like to have a bulletin board that doesn’t take up a lot of space and can be shared with others? Pinterest is a site that “lets you organize and share all the beautiful things you find on the web. People use pinboards to plan their weddings, decorate their homes, and organize their favorite recipes.” It’s a compact way to gather and display ideas. I enjoyed browsing through different pinboards, discovering interesting uses for pinboards, and seeing the creative ideas people have collected on theirs. 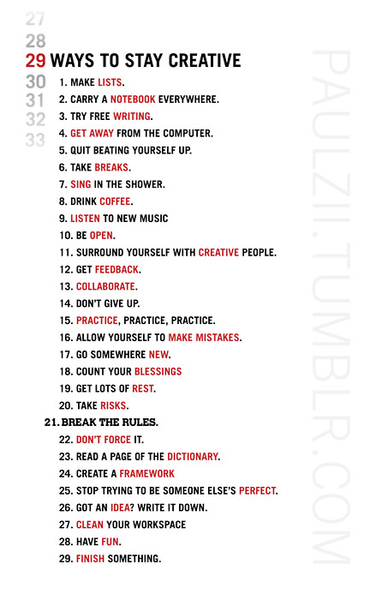 From Life on Michigan Avenue comes an interesting piece called, 29 Ways to Stay Creative. Although it is aimed at creativity, a lot of what it says can apply to other aspects of life. Does any one particular line speak to you? Mine was number 25. Flavorful Scampi alla Griglia was one of my “go to” recipes to serve company in the early years of my marriage. Not only did it have an exotic name, but it was a gourmet triple treat – garlic, butter, and shrimp! I recently rediscovered this recipe when trying to figure out the “surf” part of a surf and turf birthday celebration for a friend. It was as good as I remembered! 1. Shell the shrimp, being careful not to remove the last segment of shell or the tail. Devein the shrimp by slitting down the back of each shrimp with a small sharp knife and lifting out the black or white intestinal vein. Wash the shrimp quickly under cold running water and pat dry with paper towels. 2. Preheat broiler to its highest temperature. 3. In a shallow flameproof baking dish or pan just large enough to hold the shrimp in one layer, melt the butter over low heat on the stove top, being careful not to let it brown. Remove from burner. 4. Stir in olive oil, lemon juice, shallots, garlic, salt, and a few twists of freshly ground pepper. Add the shrimp and turn in the butter and oil mixture until they glisten on all sides. 6. Transfer the shrimp to a serving platter, pour the sauce from the pan over them, and sprinkle them with parsley. 7. Garnish with lemons and serve. 1. I buy the U20’s (under 20 shrimp per pound) size shrimp at Costco. They still have shells on, but the shells are slit and the shrimp are deveined. 2. *Cooking times will vary depending on the size of the shrimp you are using and the amount of heat generated by your broiler. Keep an eye on the shrimp while they are broiling, because they can quickly become overcooked! I did not need to broil mine for the total time suggested in the recipe. 3. This recipe would make a fabulous hot or “cold” appetizer. If serving it cold, my only word of advice would be to not serve it right out of the refrigerator because the butter will be congealed. 4. 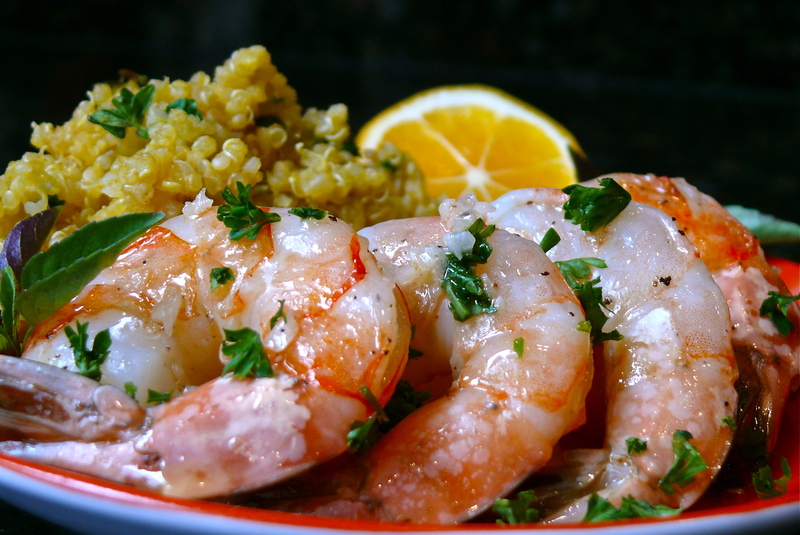 In the photo above the Scampi is served with an herbed quinoa “pilaf” on the side. I’ll post the quinoa recipe at a later date, but if you can’t wait, email me and I’ll send you the recipe.